Just because their English isn't good doesn't mean their Mexican food isn't good! Their tacos are amazing, actually. Good to know, Dustin! 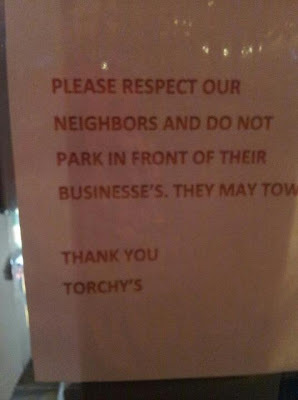 Sorry, I should not have criticized their food on the basis of their bad punctuation. It's nice to find the post. Thank you so much.